Thailandsusu Webboard > ทีมชาติไทย > ข่าวทีมชาติไทย (ผู้ดูแล: มาตรฐานชายไทย, M/J, Koupreyshark_SR 36, kaokaobangkok, ThailandsusuFanpage) > ไม่รอดสายตาสื่อเวียดนาม "เมสซีชาวไทย คองวินขู่ผมไม่ได้หรอก"
(TNO) soon told Le Cong Vinh striker in the bud 'smirking' of Chanathip Songkrasin , on the Thailand football forum appear immediately answer was named players 'Messi Thailand' , together with the declaration of war was a reunion for next October, also at the 2018 World Cup qualifiers. 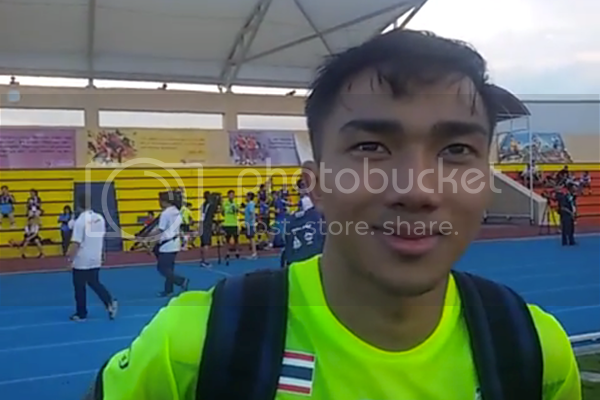 After a training session in Singapore U.23 Thailand SEA Games 28 in preparation for striker Chanathip Songkrasin was televised interview with questions about the striker Cong Vinh vowed not forget to kiss his smirking at Rajamangala 24.5 days , following Thailand's 1-0 victory. Very surprised by this information, "Messi J" Chanathip Songkrasin answered immediately: "I myself am a person who likes to laugh. Especially when embarking someone, I always nodded and flashed a smile and not think about it much. จากข้อมูลทีออกมาสร้างความประหลาดใจเป็นอย่างมาก "เมสซี เจ" ชนาธิป สรงกระสินธ์ตอบทันควันว่า "โดยส่วนตัวเล้วผมเป็นคนชอบหัวเราะอยู่แล้ว โดยเฉพาะอย่างยิ่งเมื่อทักทายใครสักคน ผมมักจะผงกหัวและเผยรอยยิ้ม และไม่คิดอะไรเกี่ยวกับมันมาก"
I think that Cong Vinh thought so! Anyway, I also understand the mood of the losers is how ". Cong Phuong breed of Vietnam, the small players will always have a special appeal to the Thai media, reflected in the number of correspondents this country skyrocketed at SEA Games 28. Also "not just what form" 1m60 tall players this reply: "I'm always ready for the rematch as well as his challenge because sooner or later met alone. Arrive in Hanoi in October, I'll see Vietnam team play at home like. At home or away, I would be "cared for". But remember, if the referee red card penalty, the Vietnam team will be at a disadvantage as the last battle. " นอกจากนี้ผู้เล่ที่มีส่วนสูง 1 เมตร 60 เซนติเมตรยังกล่าวว่า "ผมพร้อมเสมอที่จะรีเเมตกับเวียดนามอีกครั้ง ในเดือนตุลาคมที่ฮอนอย ผมอยากเห็นเวียดนามเล่นในบ้านจะเป็นอย่างไร จะเล่นในบ้านหรือเล่นนกบ้านผมก็โดนประกบอยู่แล้ว แต่จำไว้เลยว่า ถ้าผู้ตัดสินให้ใบแดง เวียดนามจะเจอกับความยากลำบากในท้ายที่สุด"
The star of the Thai team also sent a message to the captain Vietnam Le Cong Vinh: "I do not wish to scare us. It's easier. " 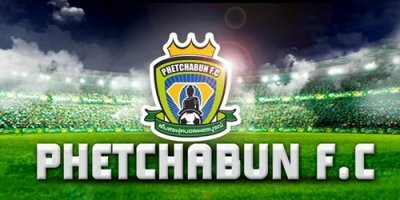 ซุปตาร์ชาวไทยฝากข้อความไปถึงเล คอง วิน กัปตันทีมเวียดนามว่า "ผมไม่กลัวที่เขาขู่ มันง่ายมากๆ"
Never play with peoples minds.